TopPokerValue.com is the only poker site affiliate that offers detailed comparisons of the net cost (i.e. effective rake) to play on each of the online poker sites we have reviewed. That is, if a site is charging you 50¢ per hand in rake, and you are earning 10¢ per hand in rewards (20% rakeback), then your effective rake is just 40¢ per hand. Another site may charge less rake (45¢ per hand for example), but provide no rakeback, while another site might offer 30% rakeback, but charge 70¢ per hand in rake (49¢ per hand effective rake). Any site that includes banners or download links for online poker sites is an affiliate, regardless of whether they are a forum, training site, news site, or any other type of website. Even if the site is highly respected and provides quality, trust-worthy information, this does not mean that their poker site recommendations are equally trustworthy. Online poker sites each offer a different commission, and most affiliates promote the site that offers the highest commissions. A perfect example of this is 888 Poker, one of the most heavily promoted poker sites. 888 Poker offer one of the highest commissions available for affiliates, and this has helped them grow to be one of the biggest online poker sites in the world. However, every online poker site is a business and in business, Profit = Revenue - Expenses. Rake and tournament fees provide revenue, while marketing costs (including affiliate payments) are an expense, as are promotions for players. If a site pays their affiliates well, they need to make that up somewhere, and 888 Poker covers this expense with higher than average rake and disgustingly low rewards. And yet, they are the top rated site on most poker affiliate websites! Commissions: The shadiest affiliates rank online poker sites entirely based on the commissions they earn from referrals. Sadly, this includes some of the most popular affiliate sites (including some of the most trusted forums and poker news sites). The sneakiest of these types of affiliates even go so far as to assign scores to each site to make their rankings look more official (even going so far as to give them decimal scores to suggest their ranking system is thorough). Of course, they don't provide any data to support their ranking system (because the only numbers their rankings are based on is commissions, and they definitely do not want you knowing that). 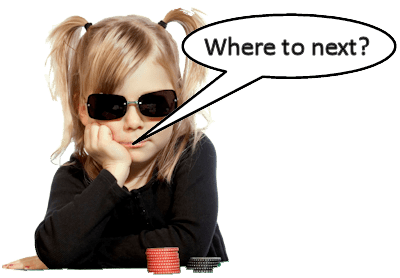 Intangible Criteria: Most online poker site reviews include comments about the quality of the software, the softness of the competition, the trustworthiness of the site, etc. Some affiliates legitimately try to quantify these aspects in order to provide a ranking system to help you find a good site. Unfortunately, the shady commission-focused affiliates use these exact same unquantifiable criteria to justify their pre-determined rankings, making it difficult to tell the legitimate "best effort" affiliates from the shady ones. What Makes TopPokerValue.com's Rankings Different? This is why each of our online poker site ranking tables lead to more detailed rankings! We want to help you find the site that is best for YOU! For example, our ranking system ranks Americas Cardroom #1 overall. Other poker affiliate sites rarely rank Americas Cardroom highly (if at all) because their referral commissions are really low. This is because they charge low rake/fees and have incredibly high rakeback (they reward their players well instead of their affiliates). However, Americas Cardroom are not the best site for everyone. For tournament players who take advantage of every freeroll a site offers, BWIN Poker is generally best. But again, "tournament players who play freerolls" is still a very broad category. When we say Bwin Poker is the best option for these players, we really mean they are the best site for some, and still not bad for the rest. In reality, Bwin Poker is only the best for these players if they generate less than $1,000/year in tournament fees. Above that amount, the value of freerolls decreases relative to other rewards. Winner Poker is best in the $1,000-$5,000/year range because they combine decent rewards with decent freeroll value and reasonable fees. Above $5,000/year paid in tournament fees, the value of freerolls becomes negligible compared other to loyalty rewards. Redbet Poker is the best tournament site for players who generate between $5,000 and $25,000/year in fees, and then Americas Cardroom is best for tournament players who generate more than $25,000/year in fees. The point is that you shouldn't care which is the best online poker site overall, or even the best overall tournament site. You should only want to know which is the best online poker site for YOU. This is why we break our rankings drill down to so many levels, with each additional layer accounting for another varirable (table size, commitment to freerolls, volume of play, etc). And we don't just calculate the net cost for the average of each of these 6 categories, but instead calculate it for several values within that range, and then average the net cost. Unfortunately, cost and rewards primarily scale off different variables. The biggest contributor to cost (i.e. rake and fees) is the stakes or buy-ins, while rewards scale primarily off of volume of play. This leaves us with a dilemna - do we sort rankings by stakes or by volume of play? We opted to first divide our rankings by volume of play, because it typically has a greater impact on net cost (for many sites, rake/fees are fairly constant regardless of stakes). To make the rankings as accurate as possible, we then assume a range of stakes for each category of player. Although a player can technically pay $50/year in rake playing $5/$10 6-max NLH, we consider it unlikely that a player who plays just 32 hands of poker per year is looking at our rankings! Thus, we assume Casual players are playing lower stakes and buy-ins, while higher volume players are playing higher stakes and buy-ins. We do of course realize that players can generate a lot of rake through multi-tabling, so this is taken into account. Most poker sites no longer offer traditional rakeback programs. In traditional rakeback, each week you get a refund on the rake you paid. The Americas Cardroom rakeback program works this way, giving you 27% rakeback each week. Instead, most sites use a loyalty points system. For each $1 you pay in rake or tournament fees, you receive X loyalty points. You can then exchange Y loyalty points for cash. For example, with William Hill's loyalty program, you earn 10 William Hill Points (WHP) for every €1 paid in rake or fees. The points you earn in a month determine your status level, which in turn multiplies your points by a certain amount. For example, if you earn 12,000 WHP/month (€1,200/month rake) your multiplier is 2, so you would get 24,000 Club Points. You can exchange 4,000 Club Points for a €50 tournament ticket, resulting in 25% rakeback (24,000/4,000 x €50 / €1200). Loyalty points programs are just rakeback with an extra step. However, some sites have truly complicated systems, such as the PokerStars Stars Rewards program. This program rewards chests, which have variable costs based on whether you are a winning or losing player. Each chest then has a random reward. Although calculating the equivalent rakeback from such a complicated program is a challenge, it can still be done. Of course, with randomized rewards, the rakeback we use in our calculations will be an average - your actually rakeback will be more or less depending upon how lucky you are. In addition to the rakeback and loyalty rewards, we also include other rewards when calculating your equivalent rakeback. For rake races, we determine how much rake you need to generate to earn each prize. That is, if you need to generate $1,000 rake in a month to earn a $250 prize, then that's an additional 25% rakeback (for anyone who generates at least $1,000/month in rake). If you play freerolls, then we add the value of each freeroll, which we calculate by dividing the prize pool by the average number of entries. For example, a $10 freeroll that gets an average of 500 entries is worth 2¢ ($10 / 500). We have a spreadsheet that lists annual rake amounts in the left-hand column, and then for each site we add up all of the rewards you would qualify for if you generate that much rake, and divide this total by the rake amount to calculate the effective rakeback. Sites that offer different rewards for different variables get multiple entries. For example, BWIN cash game players who generate $100/year in rake get no rewards (0% rakeback), while SNG players qualify for $19.52 in rewards (19.52% rakeback). At what rate is the bonus earned? How long do you have to clear the bonus? How much rake will you generate during this time? What are the payment increments? Can you still earn regular rewards while earning the sign-up bonus? The old Carbon Poker $5,000 sign-up bonus was earned at just 7% rakeback with 120 days to clear. To earn the full $5,000 bonus, you needed to generate the equivalent of $230K annual rake during that 120 days! By contrast, the PokerStars 'STARS600' deposit bonus is earned at 28% rakeback, with 180 days to clear. You would need to generate more than $28,000/year in rake to earn more from the $5,000 sign-up bonus from Carbon Poker than you would from the $600 sign-up bonus from PokerStars! Some sites (like PartyPoker) do not offer traditional sign-up bonuses, but instead offer missions or achievements that you can complete once only. Any promotions targeting new players, including first depositor freerolls, are included in our sign-up bonus calculations. Many online poker sites use misleading marketing techniques to fool potential customers into thinking they are the best online poker site for them. We strive to clarify complicated rewards programs so that you can easily compare your options. By boiling everything down to a "net cost" or "effective rake", we are able to provide unbiased rankings for each poker site. This isn't to say that softness of competition, site trustworthiness, quality of software, and other hard to measure qualities aren't important. But ultimately, you should be most interested in which poker site charges you the least to play. Rather than using OUR preferences to try to decide on the best site for you, we instead present purely the unbiased mathematical rankings. If you decide that you don't like our top ranked site for your specific game choice, then look at the next highest ranked site! This is why we present our rankings in tables instead of just listing the best site for each category. However, if your favorite site is ranked 8th for you, it's probably time to change, because you are paying far more to play there than you should! Regardless of whether you join one of the sites we recommend, or decide to stick it out with your current site, we wish you the best of luck at the tables!